HOUSTON (KTRK) -- Jennifer Jimenez is a fighter, and you could say she's good at winning her battles. She's faced cancer and is now in remission. She's faced personal hardships but hasn't let them hold her back, and she fought daily to make it to school and now she's finally graduating. Jimenez will be just one of 90 graduates who will be earning their high school diploma from the Houston Can Academy, a tuition-free charter school for people who've struggled in traditional high school settings. They will walk across the stage at 11am Thursday at Houston Baptist University - McNair Hall, 7502 Fondren Road. "Jennifer's story to graduation is one of many among the Houston Can Academy spring graduates who made the choice to ignore negative influences and focus on their goal to graduate from high school," according to the school's public relations office. Jimenez dropped out of high school three times, but she never gave up on her goal to graduate. She struggled to find a day care for her two children as she attended school. And on many days, she had no option but to walk to school from Pasadena. Most of the students graduating with her also have faced several hardships. "Some of the students will be the first in their families to receive a high school diploma. Some will not have families at their graduation and have pushed through high school on their own. 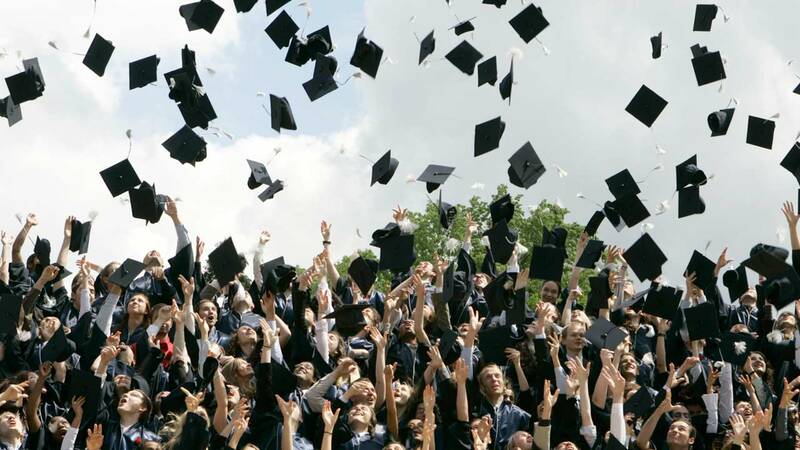 Most will walk across the stage to hold a diploma that seemed impossible to earn just a few years ago," according to the school's public relations office. For more information about the Houston Can Academy, visit http://www.texanscan.org/Houston/Hobby/ or www.carsforkids.org.